Other cities around the world are quickly pushing in front of Tel Aviv as the top startup ecosystems in the world. One of the cities giving Tel Aviv a run for its money is Amsterdam. There are 2,900 startups in Amsterdam and its surroundings; about 1,000 of them are located in the city center. Amsterdam claimed the title of "Innovation Capital of Europe" in 2016, and it's always in the top five in almost every other category. It's the home of successful companies like Booking.com and TomTom. Large companies like Netflix, Uber and Tesla chose Amsterdam for their European headquarters. Also, there are over twenty startup and coding academies to promote the next generation of entrepreneurs and programmers within the city. 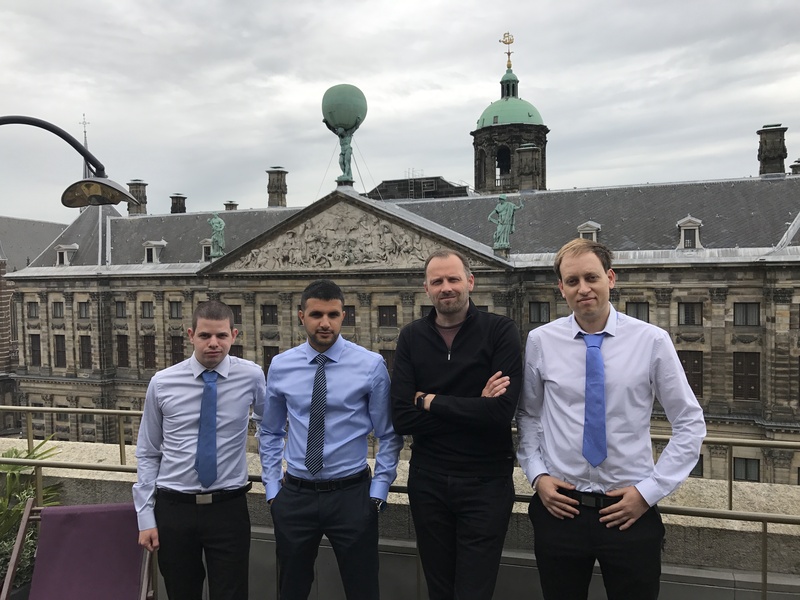 While visiting Amsterdam, we met on the roof of the W Hotel with Ruben Nieuwenhuis, Private Lead at StartupAmsterdam, a wide-reaching program launched by the city of Amsterdam to showcase the city's startup community, facilitate valuable partnerships and help Amsterdam's ecosystem grow larger and stronger. As they say - "we connect the dots". Ruben is one of main ecosystem's movers and shakers and has been involved in dozens of startups, initiatives, and companies. He and Bas Beekman wrote the book StartupCity, exploring the role of local governments in entrepreneurial ecosystems. They traveled around the world (including to Israel, of course) and learned about methods of improving the startup ecosystem, applying what they learned to Amsterdam as well. Ruben was busy arranging the StartupCity Summit, the event StartupAmsterdam was organizing for The Next Web conference, but he still found time to meet with us and discuss the city, the ecosystem and partnership opportunities. He's the go-to guy for anyone looking to make a new connection in Amsterdam, and he welcomes everyone who wishes to help his beloved city of Amsterdam thrive. "This is my role basically", he said, "to help others grow and bring business to Amsterdam". We were interested in StartupAmsterdam's programs, his ideas and his connection to TNW. He had a lot to share with us. So, crazy week, eh? How did your connection with The Next Web begin? This week is packed, which is good. Two and half years ago when we started StartupAmsterdam along with Startup Delta, I remember Paul (from TNW) often saying StartupAmsterdam puts a large emphasis on pushing events; events are part of our program, and I said that you need a reason for people to come together to make things happen, but not only during the event. It is important to be able to create all kinds of stuff around the main event. This is how we focused on helping TheNextWeb becoming the top three events in Europe along with WebSummit and Slush. At the time, TNW had around 5,000 attendees; they have now grown to host between 20,000 and 25,000 attendees with only minor investments. To help the conference grow, we created LaunchPads Meetups, asking corporations to open their doors to startups to pitch their ideas to them at the seed stage. We then connected those meetups to TheNextWeb conference, two days prior to the main event because lots of startups from outside the Netherlands are coming to hear about it, and then they also go to the event and it will help them make new corporate partners. 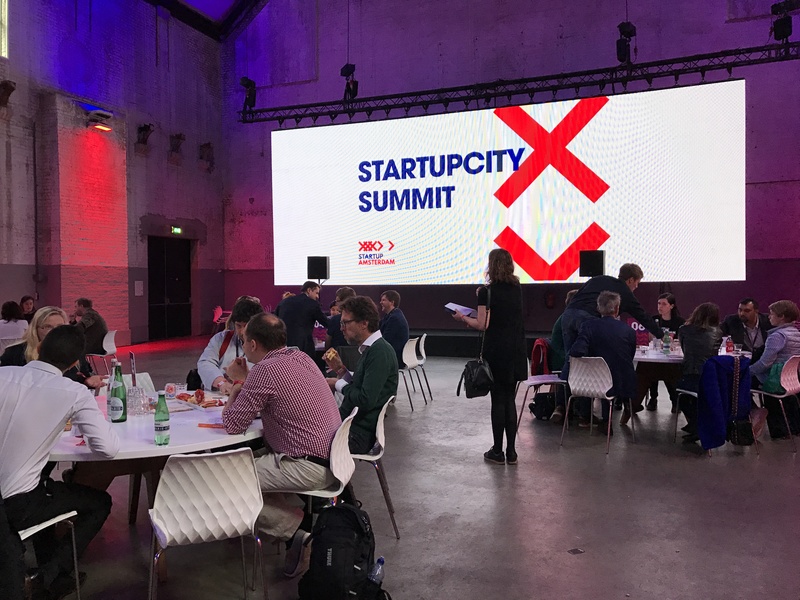 We did that LaunchPads Meetups for two years; now we have the StartupCity Summit to which we hope to attract all kinds of delegates from startup cities around the world (spoiler alert - they did). also for next year, they’d bring their “Startup Mafia”, the influencers, to The Next Web, and it will grow even more. I don’t know if it will grow in size, but it will grow in importance, to be a really meaningful tech conference. What's your plan for StartupCity - the book and the idea? We updated the book, there are 210 pages or so, but it’s still in beta and I think that a lot of startup cities are in beta or are developing. Cities have a huge responsibility on the one hand, to help not only startups grow but help all the stakeholders in the startup ecosystem flourish because otherwise, startups won't be able to develop. On the other hand, the cities want to make technology and growth work for everyone in the city and the surrounding areas. I think two years ago I was super optimistic and positive and I was pretty focused on startups and tech, but now we are focusing on the flipside of tech and inclusive growth. What you see now is that people are missing out, cities are missing out, and it will have a huge backlash; I think people that work in the ecosystem should take responsibility for that side as well. Cities that are not building the right infrastructures are really missing out. This is the reason we share our knowledge - in order for them to start with their program to re-educate and employ people, as an example. Also, I'm working with TNW to include StartupCity content. TNW writes about startups, and tech, so why not about Startup Cities? We hope they will include content about local Startup in Residence programs, inclusive growth, increasing VC communities, and more. This would be really cool content, and is what we write about in the book. We don’t want to showcase ecosystems, but be a navigator. Also, TNW has their own Crunchbase called Index- I suggested that there, they could ask startups about their cities’ local government dynamics, what solutions they provide to smart cities, and other related questions. What can you tell us about StartupAmsterdam and some of its programs? StartupAmsterdam is only meant to be a four-year program, so we have one and a half more years left. It was our strategic decision to set this limit and stop the program after four years. StartupAmsterdam is in reality not so much of a “program” but is integrated within the ecosystem, and that's important, and will allow it to stay alive and kicking even after the “program” is over. Secondly, we are creating a "cluster bomb" type entity including all kinds of initiatives and things to activate, strengthen, and develop that could go on by themselves after a few years. Startup in Residence is a local government incubator where startups are tackling social challenges in the city of Amsterdam. With this program, we decided to not invite consultants to the accelerator but just to educate civil servants; it’s very cool seeing them succeed. Now even lawyers and consultants ask if they can participate for free in the program in order to play a role. There’s still a lot of work to do to have it embedded in a way that will allow it to grow by itself without Bas (Beekman, Public Lead at Startup Amsterdam) and me, and we are working really hard for it to succeed. We also helped to launch Growth Tribe Academy, Europe's first growth hacking academy, backed by UvA, Facebook, and us. We started out with just 25 participants and 5 universities; the Academy now already educates 12,000 hackers and is currently expanding to London. We stepped back from the project and it’s now a private company that just made it to the list of “fastest growing companies”. What I really tried to do is to make sure that it’s in good hands and it can run by itself; this will keep the StartupAmsterdam program alive as well. We also established the first edition of Amsterdam Capital Week and put in the hands of Anouk (Bikkel, from Capital Week) and her team, brought in all the partners, and then stepped back a bit in order for it to really grow into a private partnership. What about Amsterdam Capital Week? Is someone going to run it every year? I hope so. I even hope that it will be organized around the world, like TechCrunch’s Disrupt. We want it to be adapted, because, well, Capital Week is a good idea and it’s run on small means. There’s still a lot of work to do to have it embedded in a way that it will grow by itself without me and Bas working really hard to make it work. Can you tell us about any more interesting programs and plans for StartupAmsterdam? 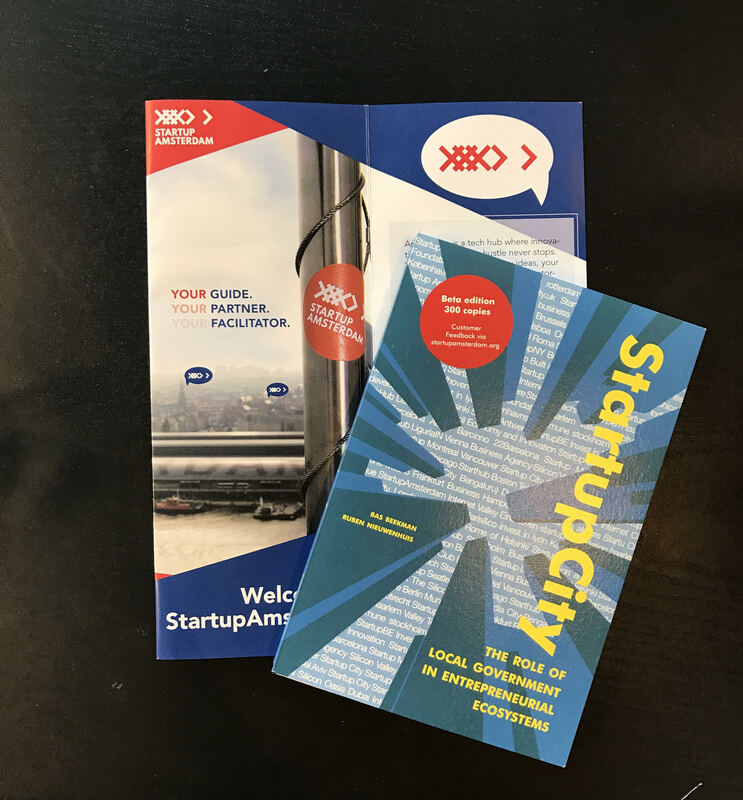 We are looking for the best practices in every successful startup city, including Tel Aviv, and we found an interesting program in France. It’s a school called École 42, that we hope to start in Amsterdam as well. It's a school without teachers, just students learning how to program and run their own businesses by solving problems alone, or with the help of other students. They need to search the internet and look for solutions to any of the 21 tasks they receive. The training is inspired by new modern teaching methods, including peer-to-peer pedagogy and project-based learning. Amsterdam is making its way to becoming the European Silicon Valley thanks to the thousands of interesting startups and great ideas, but most importantly, thanks to the strong support of the city and the government. StartupAmsterdam proved in the past two years that with a bit of funding and full support from the city, you can make great things happen.